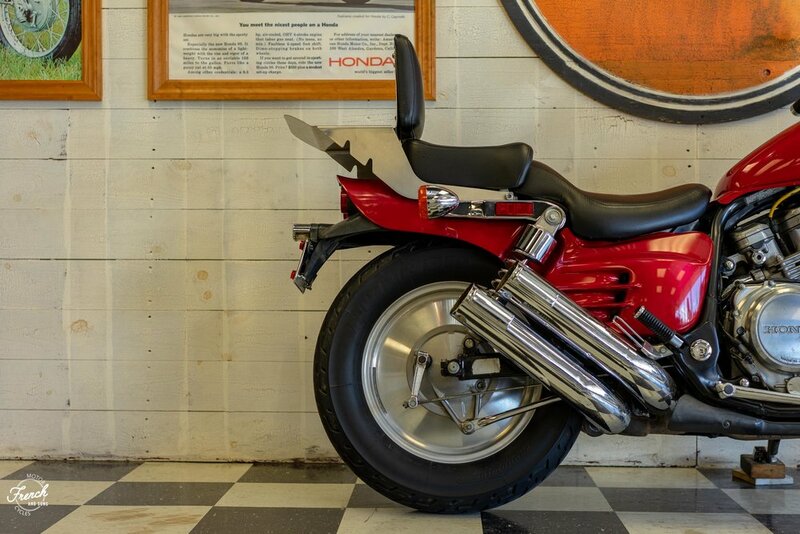 Considered one of the first “Muscle Cruisers", Honda took the cruiser genre to a new level. The V700 used a V4 motor that was adapted from Hondas championship winning race bikes. This brought something to table the cruisers were missing, horsepower. The V4 produced excellent low-end torque as well as upper end horsepower. The performance was all well and fine, but the sounds is what makes this bike so enticing.